A lot of digital marketers would often say how much SEO has changed over the years. It’s true. The SEO strategies that may have worked three or four years ago would not work now. Want to know the truth? This year, SEO is really not so much about keywords. We are not saying that SEO this year completely strips off keywords in the strategy. All SEO strategies will always remain founded around the right keywords. However, gone are the days of focusing on the number of keywords on a single webpage. Today, it is all about the quality and relevancy of the keywords in the content of the page. This is what we call a modernized SEO strategy. Generally, it focuses on marketing yours asset. 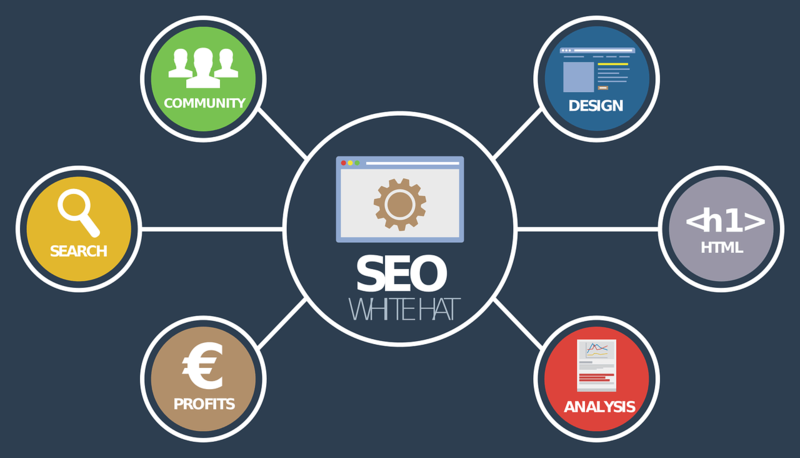 In this article, we will guide you through the six basic creating an SEO plan from Scratch. We are all aware that the foundation of SEO is keywords. However, you should know that there is a small step before you actually arrive at a list of the right keywords. The very first thing you need to do is come up with a few topics that you are going to be writing or covering in your SEO calendar. Come up with terms and words that are related to your niche. Then, go to Google Keyword Planner to find out how these words are searched. After that, create variations that are still in connection with your niche. Remember that trying to rank using short words is competitive. So, you now go to the next step. Today’s SEO is all about being specific with your keywords. The main thing about long-tail and specific keywords is that there are terms that are used by people who search on Google that are ready to buy. When a person wants something, they go as specific as they can to find the right solution. You want to take advantage of this and research for long-tail keywords around your topics. For example, writing about and trying to rank for the term “SEO” would not be practical. It is such a broad term and you will have a hard time competing with bigger competitors. So, you need to find a set of words centered around SEO that are more specific. You can try “the best SEO strategies that work in 2018”. I suggest you read this post on how to find long tail keywords? The latter is much more specific and it gives the implication that someone using this long keyword is desperately looking for a solution. Utilizing this keyword for your content will make that person see your content and you can become a solution provider! Now that you already have your broad topics and the specific long-tail keywords under each of them, it’s time to get started with building your website. The general rule of thumb is to create separate pages for each of your broad topics, utilizing the long-tail keyword as subtopics or sections. In a nutshell, the pages of the topics will serve as a table of contents. And remember, you must be able to write relevant content that will provide useful information to your audience. In case you haven’t heard it yet, blogging is one of the best ways to jumpstart your SEO. Here are the top three things you need to remember when you are setting up your blog. The long-tail keywords should not appear more than four times in one page. Remember that using the keywords too much can put your page under the “keyword stuffing” category. Make sure there is a link to the page for your broader topics. You can create a simple anchor text anywhere in the body. When the blog is published, do not forget to put a link to it on the broader topic page. This will have a better relevancy juice for your topic page. Try to include the keyword in the Url. In this step, you need to veer away from the on-page aspect of your SEO and start focusing on the off-page strategies. This means you should also know how to create a backlinking strategy to enforce your amazing content. What makes SEO great is that your marketing efforts do not go to waste. You can actually see the actual results of how your strategizing are performing. This way, you can identify which parts of the strategies need improvement and device a new plan. Learn which metrics are important. As you can see, the steps in doing SEO and achieving higher rankings have dramatically changed. For you to stay in the game, you need to be prepared and you should be ready to adapt to big changes! Ritu Sharma is the Content Insights Manager at SEO Services Company PageTraffic, one of Asia's most award-winning & recognized Digital Search Marketing agency. She has been the spearhead of many successful Content Marketing Campaigns for PageTraffic. How To Become a Full-Time Blogger? Great post. You have shared excellent information in this post. Blogging is an important part of SEO. Good quality content will bring good quality visitors. Once they find value in your article , they will come back for more. These tips are so valuable for any start ups. They hold the key to success in today’s competitive world. You have done very well to share this wonderful piece of information which is going to help heaps of businesses out there. Thank you for this post. keep up the good work. Thanks for your feedback. I am glad you liked it. This is a great post. I find that when dealing with most businesses, the main thing site owners need to understand is that they actually need a plan in the first place. too any people seem to believe that they don’t need a plan, and then wonder why they are failing online. I am glad you found it valuable. Thanks for sharing your feedback.